Someplace Wild- You have touched my heart and made memories I'll be able to cherish forever. First of all I've always admired Christina's Work. She can really capture the moment naturally. She allowed me to express myself and gave me incredible guidance throughout the whole day. I didn't have a wedding planner and she completely took charge. She comes early to the venue, has a meeting with the bride, and really gets down to the nitty gritty of how the day from her perspective will go. The details are very important to her- which helped take the pressure off me. I am not so keen on taking solo shots and she had me working the camera! I loved her and recommend to any one who is interested in a photographer that really cares about her work and the individuals she is capturing. My husband is not into the photo thing, nor was he even into the whole wedding thing.. Christina has this way about her to bring attention to the moment and to make everyone in the photo comfortable.. even if it just a solo shot. Her demeanor really makes you feel at ease as a wedding can be the most anxious day of many peoples lives. If i could do it all again, I would do it the same. Christina and her co photographer were SUCH a blessing. I recommend her 10 fold. Thank you for my BEAUTIFUL AND STUNNING photos. When I first reached out to Christina I had a really good feeling that she would be a good fit for us, based on her style and aesthetic. And in our brief email exchanges I continued to feel that way. I had a good feeling that Christina shared my vision for the wedding and that she and I would get along perfectly. But honestly, what I didn't consider, was how she and my fiance Brad would interact. You know, the type that constantly tells me that he hates having his picture taken. But she was so great. Christina made both of us, but especially him, feel so comfortable from the beginning. She made us laugh and relax and really engaged us in a way that I didn't expect. She encouraged us to look at each other and talk to each other and giggle, and helped us create all these crazy special little moments. And I think best of all, Christina made him unaware of the camera, and he was able to be himself. And for that, I am extremely grateful. 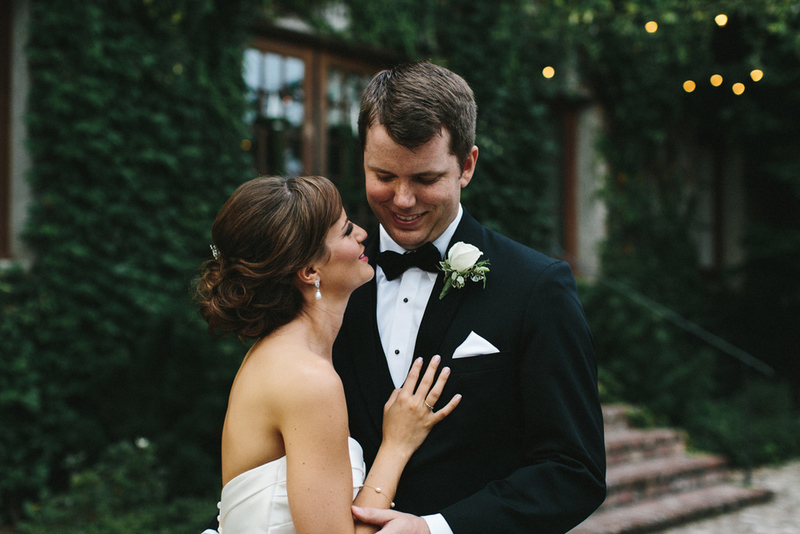 How can I put into words the feeling that I get every time I look at our wedding photos? Just hire her and you will not regret your decision! From our initial contact, I knew that Christina was just the type of spirit I wanted to be with me all day on our wedding day. She is just the coolest person you will ever meet with a true heart and brilliant eye for capturing the love that you feel in an image. Christina won't dump you with hundreds of photos with no thought – every photo she takes tells the story of your wedding day with a true documentary style. And did I mention she’s just so much fun to work with? She worked hard to incorporate my ideas into our photos while staying true to her beautiful, artistic style. From the business side of things, Christina had a quick follow up and email response time, very reasonable prices, quick turn around on photos, and a professional attitude throughout the whole process. I truly could not be happier and am so thankful for all of her hard work on our wedding. We can’t wait to work with Christina again!